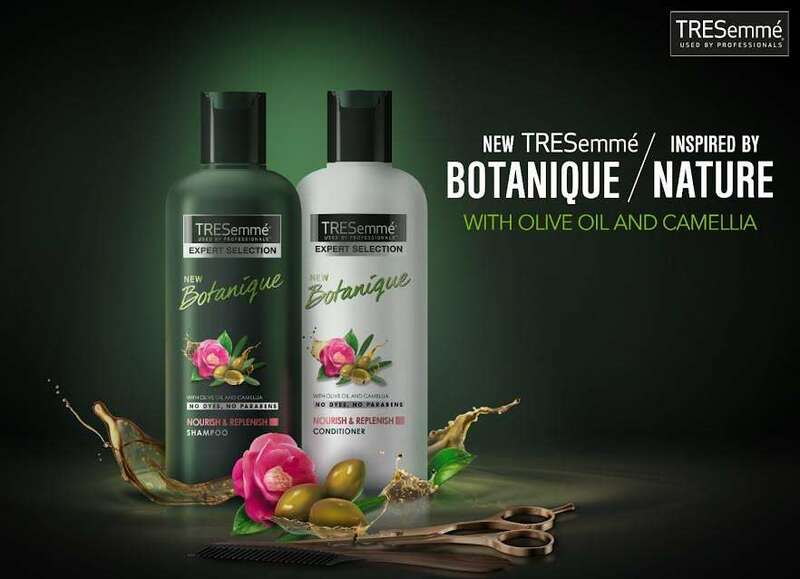 Bangalore, March 13, 2017: Say goodbye to your hair woes as TRESemmé launches the Botanique shampoo and conditioner range. Enriched with two powerful professionally blended systems, the new range is inspired by nature and compliments all hair types. Available in two variants,Nourish & Replenish and Detox & Restore, the Botanique range is the perfect option to restore your hair’s natural shine and strength while deeply nourishing it. With increasing stress and decreasing time, your hair is the first to bear the brunt by losing its softness and vibrancy. The two variants of the newBotanique range are equipped to nurture and repair the damage by gently working on your hair. The Nourish & Replenish variant is an ideal blend of Olive oil and Camellia oil, which are both known to be rich sources of essential nutrients and antioxidants. This variant cleanses and nourishes your hair to give it a silky soft feel and natural shine, with a creamy fragrance of fig milk and coconut water. The second variant, Detox & Restore, is infused with Ginseng and Neem which are established as the ultimate purifiers and revitalizers. This range is induced with fragrance of fresh elements like summer blossoms, zesty citrus and ginger. Both variants of the Botanique range are crafted by experts to give your hair a salon- ready look at home. “Anything that is all natural and has nutrients is most definitely the best thing to give your hair some TLC. The TRESemmé Botanique launch is something that I'm really kicked about and can’t wait to try on. Having to shoot long hours every day, my hair is more often than not exposed to chemicals and other harmful pollutants, and sometimes the unpredictable weather also adds to it. This is where the new range will help in nourishing the hair and bringing back its shine and beauty. Times like these I can now resort to this exciting new range of products. I think this is the ultimate solution to all our hair troubles”, TRESemmé‘s Brand Ambassador Jacqueline Fernandez said on the launch. TRESemmé was created in St Louis, Missouri, by high-profile hairstylist Edna Emmé, who gave her name to the brand. Back then, the product was only available in professional hairdressing salons. Over the following sixty-five years, TRESemmé has continued to build on its early success, helping women look great throughout the world. TRESemmé is dedicated to creating cutting edge salon innovation hair care and styling products without the salon price tag. Our salon-inspired products are enriched with high quality ingredients to help you experience that salon feeling, every day.